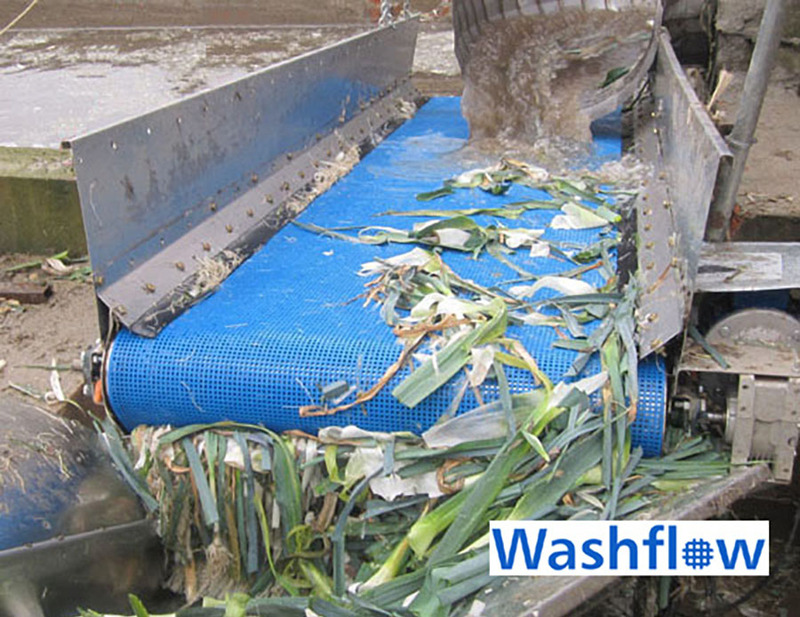 Belts for harvesting, washing, cutting, packing and conveying a variety of fruits and vegetables. A wide array of PVC and PU belts in white, green and blue that comply with FDA & EU food regulations to select from. Different types of profiles can be welded on the belt surface to adapt to the type of fruits of vegetables so that they do not get bruised during the process. A variety of belts with different features to choose from depending on the types of fruits or vegetable and the type of process. Belts available with both covers PVC or PU. Possibility to mould or seal belt edges. Horizontal or longitudinal profiles, sidewalls, wave profiles, long or short finger profiles can be attached on belt surface for inclined conveying. Comply with FDA and EU 1935/2004 regulations. MSDS, certificate of conformity, phthalate-free certificates available upon request. 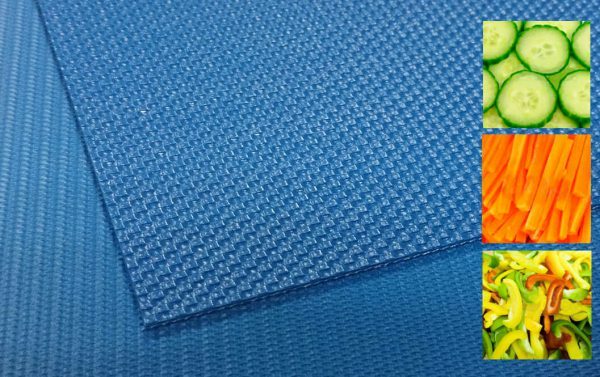 Due to the variety of fruits and vegetables available in the market, different processes require different belt manipulation to adapt to the needs of each application. Esbelt has more than 30 years of experience supplying ESPOT and CLINA belts for canned fruits processing like coconut, pineapples, papayas, peaches, fruit cocktails etc. 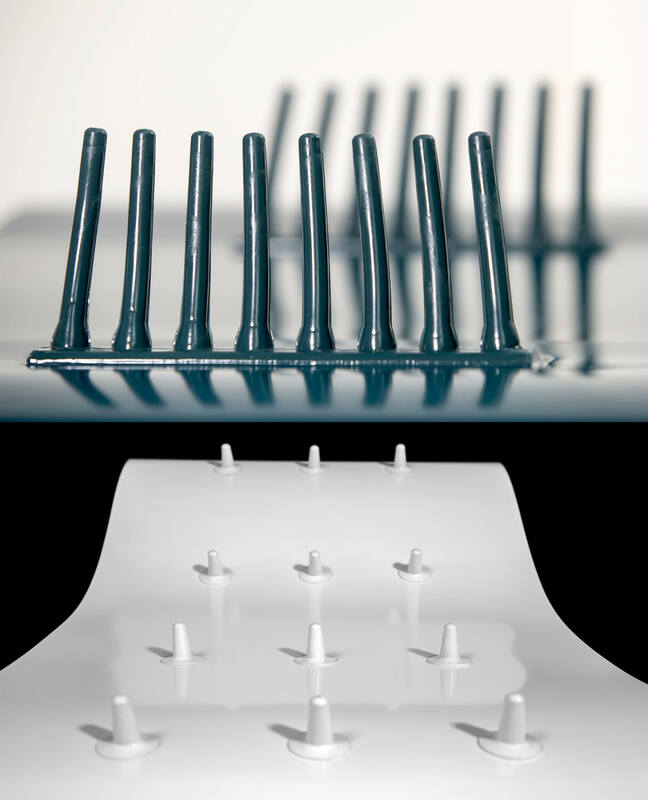 For the conveying of soft-skinned fruits where a lot of care needs to be taken to avoid bruises on the fruits, waved profiles and finger profiles, sidewalls are welded onto PVC belt surfaces to allow for a ´´soft-landing´´ of the fruits during processing. Apart from PVC conveyor belts, we also offer double cover PU Novak 07AY for vegetable shredding machine and TPU mesh belts, WASHFLOW for the washing and draining processes.